So… you just connected Jetpack to wordpress.com, and you can’t figure out how to disable the stats module… right?. Notice the ‘Deactivate’ button that appeared, right by the ‘Learn More’ button?. Click it. 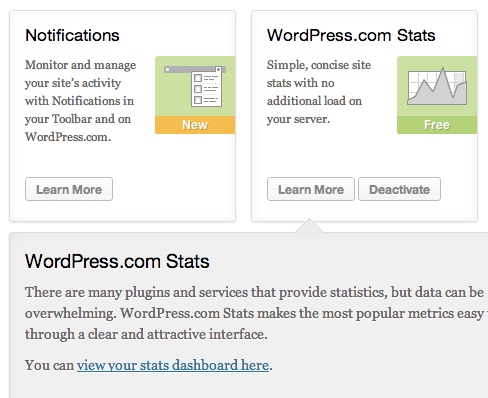 That’s it… WordPress Stats should be disabled by now! Previous PostWe got a new domain!Next PostXcode 4.6 Released!